We use because we do not have adhesive which remains after attaching to wall. This review is about item#9206994. It can be used in a variety of convenient ways, such as masking, temporary fixing, sticking notes and instructions to articles, and sticking it on cloth to take sewing allowances when sewing. The condition of the tape and the paste is just right, it is saved without the paste remaining. Also, when writing a note with an oil-based pen, you can write cleanly without using ink. 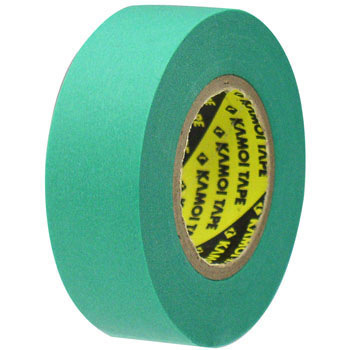 We would like to develop products with narrow widths such as 3 mm, 5 mm, 6 mm, 8 mm and 12 mm, or develop a device that can make a masking tape clean and cut it into a desired width. This review is about item#9207012. Since it is a paper product, since it does not stretch and stickiness is weak, tension marks are not arrived and it is handy. This review is about item#09207003. Convenient for masking painted surfaces. Because the stiffness is weak, do not pull the paint. I am making it as a stationary item. I do not have any glue ingredients, so it is very helpful. I am happy to have a size of less than 1 cm width (3 mm, 6 mm, 9 mm, etc.). This review is about item#9206985. It is used to fix the drawing paper to the drawing board. When peeling off, the ordinary masking tape separates the drawing paper together, so this tape with weak adhesive strength is indispensable. Because it is used for the curing of the top coat of Japanese style building, when it is strong it will cause the wood part on the surface of the pillar together when peeling off. You can use this guarantee with weaker weakness. It is affixed to steel materials and cardboard for identification. A little glue is weak, is not it suitable for steel? This review is about item#09206994. Adhesive strength is not strong and it does not peel off paint and it is useful. Because it is used for curing of the wood, I wanted something weak. Be careful as you peel gently as you used tapes until now, because it will peel off. In the use of this time, since the turning up of the wooden portion at the time of peeling did not occur, I am satisfied.